Usercon in the Netherlands, the largest European Vmug group. 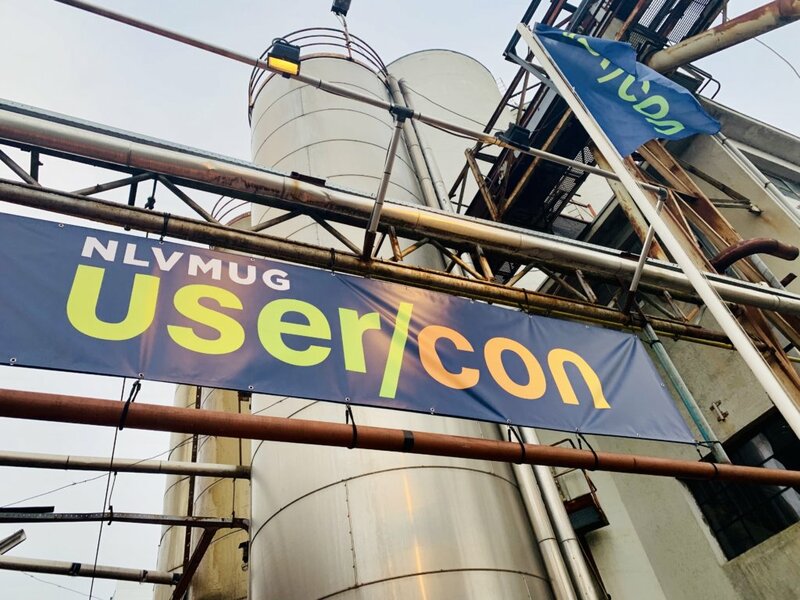 Easyvirt was present at the Usercon in the Netherlands, the largest European VMug group. 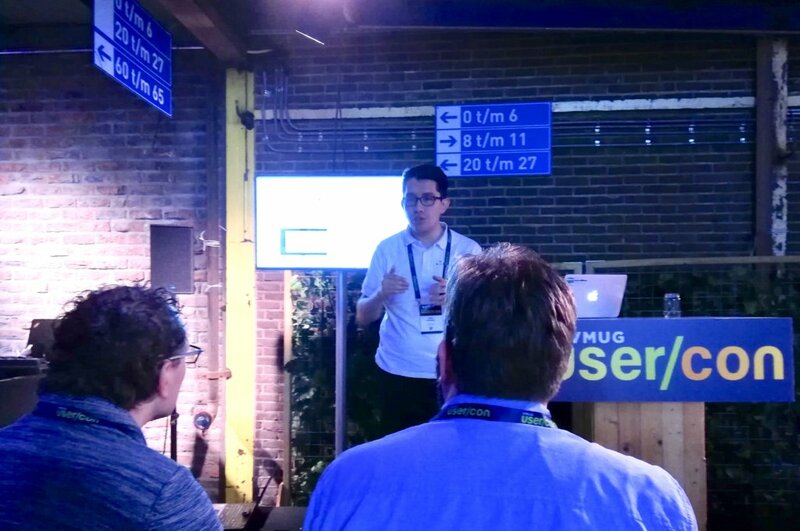 Easyvirt participated in the VMug Usercon held last Thursday March 21th at the Netherlands, in Utrecht. This is without a doubt the biggest event that we have participated so far and we are so proud for having been there, so much that we want to give you a short summary of our experience. The first thing to notice is that the event took place in DeFabrique an old industrial complex that now serves as a venue for big events. The place has kept the infrastructure of an old industrial factory but its interior has been adapted to host large events, including multiple conference rooms, several exposition halls and many open spaces for any type of event. Despite its location being a bit far from the central station, the place was perfect to host the Usercon and all its attendants. When we first entered the building, we knew the event was going to be a success. From the entrance organization, the placement of the booths up to the organization of the different speaking sessions’ theaters, everything was perfectly detailed and well thought-out. As we did in Poland, our first step was to introduce ourselves to our stand neighbors, this time around the American company, specialized in the development of all-flash data storage hardware and software products, Pure Storage was located next to us. After meeting them we set-up our stand and then we went out to get to knowa little bit more the other companies sponsoring the event. It was really interesting to notice that most of the companies participating in the event were headquartered in the US and that we were one of the very few European based companies. Along the day we heard the concerns and needs that virtualization users have regarding monitor, capacity planning and management of their infrastructures. We were not surprised to hear the same concerns that we had heard in France, Spain and Poland: overpriced and complex applications, absence of adapted solutions, lack of intuitive tools and so on. 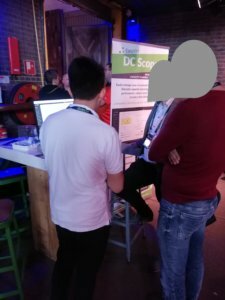 Something that we found interesting during the Usercon, was that most of the visitors to our stand came from companies with medium to large virtual infrastructures (more than 2000 VM) and in some cases they did not have a solution to monitor or manage their virtualization. 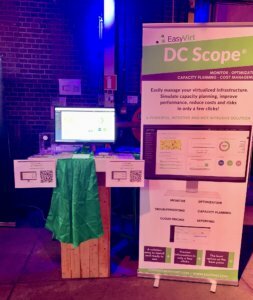 Once we showed them how DC Scope works and all the potential resource savings they could make by installing our solution, they saw the benefits of having DC Scope as the solution to drive and manage their infrastructures. We delivered our presentation at 11:00am, we gave a short summary of DC Scope’s favorite features which includes Capacity Planning, Cost Management, Cloud Pricing and automated reports. We think that one of the most appreciated modules in our visit to the Netherlands was the Cost Management module. Our stand visitors were really impressed by the facility to set up the prices for the infrastructure and even more astonished when we presented the individual analysis of cost allocated, consumed and wasted in each virtual machine. This feature has been widely used by our clients in the hosting provider segment and who need to bill the cost of individual VMs to internal and external clients. The event finished at around 5:00pm and as we also did in Poland, we left DeFabrique not only with stronger connections with virtualization users such as system administrators, vExperts, technical users, etc., but also with a variety of companies interested in our solution. This time we also offered 60-days trial licenses to all the attendants at Usercon. DC Scope V6 available ! Find out all about the new features. 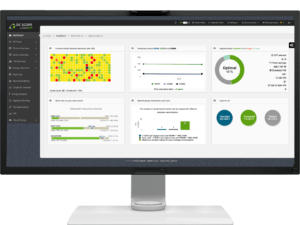 Why set up virtualization management tools such as DC Scope®, vRealize Operations or Turbonomic?